Home / Modern Pest Blog / Fire Ants, Carpenter Ants, and Flying Ants, OH MY! Fire Ants, Carpenter Ants, and Flying Ants, OH MY! Have you been outside recently? I know the calendar still says “Spring,” but 95° and humid is as summer as you can get here in New England. With the arrival of these high temperatures, several other life forms tend to follow soon after. As movie studios would have you believe, ants can either be horrific giant monsters, or adorable little heroes. As expected, the truth is probably somewhere in the middle. Ants are amazing little creatures, capable of creating structures of incredible size, scale, and complexity. At the same time, some ants are destructive, vicious predators, who can do more than just disrupt your picnic. They can cause you lots of pain, or even destroy your home. The first step in dealing with ants is proper education. 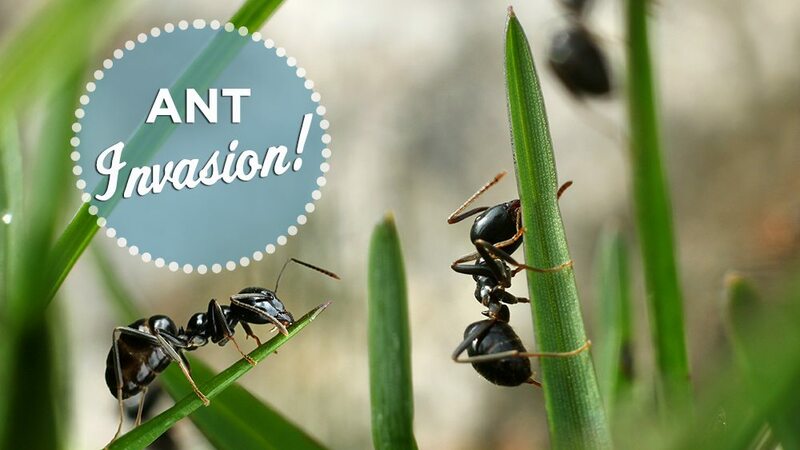 Let’s take a realistic look at three of the most common types of ants, and what to do about them. A typical fire ant colony produces large mounds in open areas, and they feed mostly on small plants and seeds. They can attack and even kill small animals. Most ants bite their target and then spray acid into the wound, but fire ants have a stinger on their abdomen that injects the venom. For us, this is a painful sting, creating a burning sensation, (hence the name) and can be deadly to people who are particularly sensitive to toxins. And the after effects of the sting can be dangerous to sensitive people. Fire ants are more aggressive than most native species. Red Invasive Fire Ants (RIFA), brought here inadvertently as stowaways on oversea shipping containers represent a bigger threat. According to the FDA, more than $5 billion is spent annually on medical treatment, damage, and control in RIFA-infested areas in the United States alone. 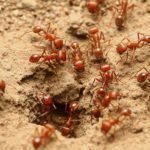 Furthermore, the ants cause approximately $750 million in damage annually to agricultural assets, including veterinarian bills and livestock loss, as well as crop loss. Over 40 million people live in RIFA-infested areas in the southeastern United States. About 60% of people living in fire ant-infested areas are stung each year. Not cool, Fire Ants. Carpenter ants are large, black ants, averaging about an inch in length. They build nests in dead, damp wood, such as dead or rotting trees. Contrary to popular belief, carpenter ants do not eat wood because they cannot digest the cellulose. They create their empire within the wood but typically feed on other dead insects, honeydew from aphids, or plant nectar. They commonly infest wooden buildings and other types of structures and are a major cause of structural damage. 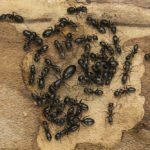 Even if you don’t see the ants at first, you may notice piles of sawdust, sometimes mixed with ant and other insect parts, on the ground, floor or near doors. Carpenter ants do not usually bite humans, but their jaws are large and capable of inflicting a painful bite. The genus includes over 1,000 different species, and millions of dollars of damage are attributed to them each year. Flying ants, while real, are not a separate species of ant. Rather, they are a phase that many species of ant go through when they are mating and relocating their colony. Typically, the queen grows wings and takes flight, with many males following suit and swarming around her. As a result, these flying ants are also known as “swarmers”. After mating, the queen then drops to the ground, loses her wings, and begins a new colony. Often flocks of birds can be seen feasting on these swarms of flying ants, as they are usually easy targets. 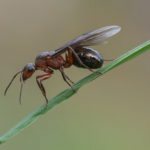 Aside from possibly obscuring your sight for a short time, or just the inevitable “ick” factor often associated with swarms of insects, flying ants possess no real threat to humans. Once they land, however, they can certainly be challenging and destructive. It is highly advisable to deal with these pests BEFORE they inflict massive amounts of damage on you, your family, or your home. Contact Modern Pest, and learn how we can help protect the things that you hold most dear, from ants or any other type of pestilent scourge. 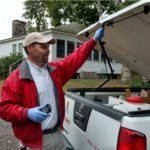 A Modern Pest professional can do an inspection and determine the level of infestation, areas of damage, and create a very specific, environmentally friendly and effective program for your home. Contact a Modern Pest professional today for a FREE quote or to schedule a service today!